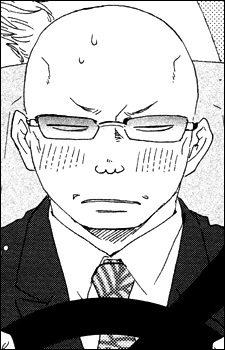 Aki's long-suffering subordinate from the Gotouda group. Like everyone else in both of Aki's parents' yakuza groups, Takihaze adores the young master. He is, however, not nearly as fanatic as the other men and acts more appropriately, probably because he has to deal with Aki the most often. Takihaze's position and loyalty means that he tends to put Aki first instead of his father, the head of the family. He has a good fashion sense and makes Aki look like a model whenever he gets the chance to coordinate his outfits.